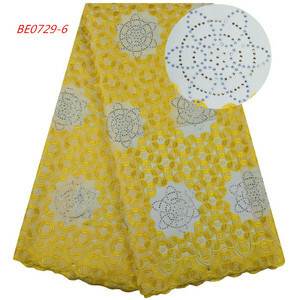 this is our new style swiss voile yellow lace fabric .sunway lace mainly supply all kinds of african lace, cotton voile lace,organza lace,headties. online alipay ,trade assurance,t/t and paypal, western union ,ria,moneygram are the most usual ways we are using. 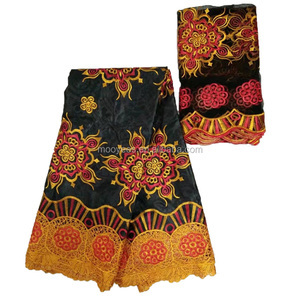 we do both wholesale & retail business in the worldwide market. l You can provide your own samples,our designer can design what your needed sample. l you can provide your own samples,our designer can design what your needed sample. l welcome to visit our factory in order to make full view of our design and quality. 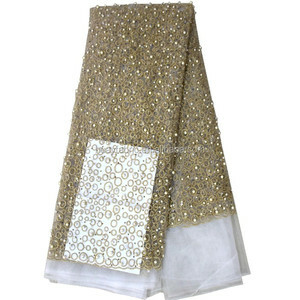 lace white dry lace baby lace african lace fabric top-one lace,aso-ebi choice! 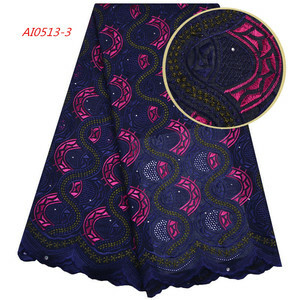 Alibaba.com offers 23,118 swiss lace fabric products. 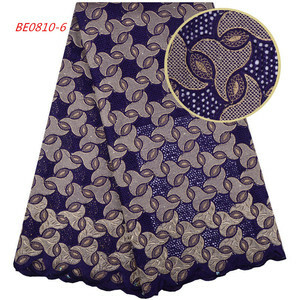 About 79% of these are lace, 9% are embroidered fabric, and 8% are 100% cotton fabric. 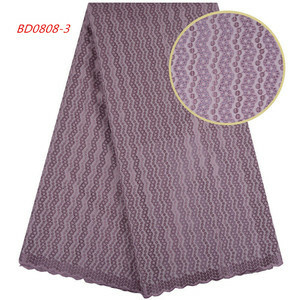 A wide variety of swiss lace fabric options are available to you, such as eco-friendly, elastic, and water soluble. You can also choose from 100% cotton, 100% polyester, and polyester / cotton. As well as from embroidered, knitted, and crocheted. 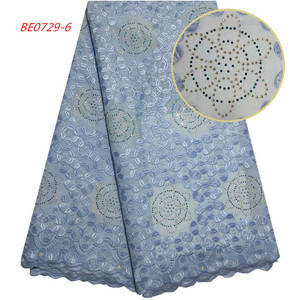 And whether swiss lace fabric is voile, organza, or mesh. 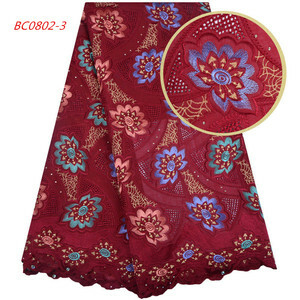 There are 23,019 swiss lace fabric suppliers, mainly located in Asia. 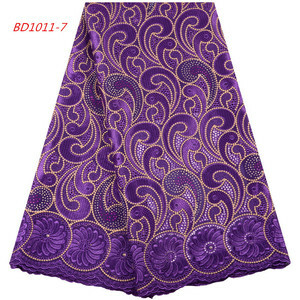 The top supplying countries are China (Mainland), India, and Turkey, which supply 99%, 1%, and 1% of swiss lace fabric respectively. 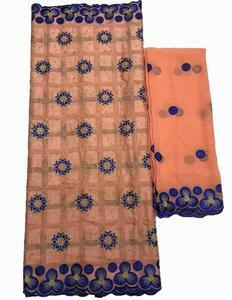 Swiss lace fabric products are most popular in North America, Western Europe, and Africa. You can ensure product safety by selecting from certified suppliers, including 1,846 with Other, 245 with ISO9001, and 162 with TL9000 certification.